Dr. Mohamed Mostafa, Alexandria Antiquities director said that the most important tomb is the first one which has a court yard with two pillars in the middle and 2 burial pits contains more than 10 bodies in addition to a large number of objects in good condition including pottery bears the name of the deceased in Greek in red ink. Also the different layers of painting and depictions on the eastern and southern walls of the tombs prove that it was re-used during different eras. The second tomb is not accessible as it lies under a building next to the site and it has 8 steps staircase carved from North to South leading to the tomb door towards the east. The third tomb is towards north and the fourth is towards south and both are on a lower level than the first tomb and many objects were found in them including lanterns and pottery. 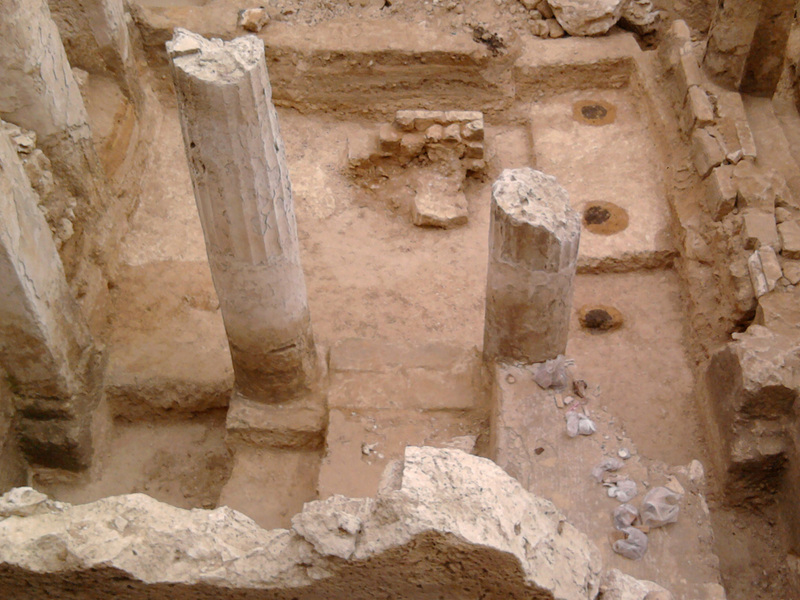 In the southern side of the site there is another structure was found and it is believed that it is a tomb dated back to late Graeco-Roman and there is a tombstone found with Greek letters refers that a mother and her son were buried there. The team is working of making 3D images for the discovered tombs using the latest technologies as well as the documentation and restoration carried out by the restoration department in Alexandria.